What definition are you using to define Russia as non-Western? Its geographical location isn’t really fully Western, but a lot of the culture (religion and the czars, for example) fall more into line with the Western culture, even though it certainly has its own unique flavor. I really loved the nod to czarist Russia. It’s not an area that generally gets a lot of literary love. I reallllllllly loved this book. I tore through it pretty quickly, then just wanted to start re-reading it. I can’t wait until we have MOAR. I’m defining “Western” as North American and Western European – I’ve always seen Russia as more of an Eastern European culture, which has it’s own quirks and unusual flavor. But you’re right, it’s more Western than some other cultures. I just think it’s nice that we’re getting some more unusual cultures – in that sense I’m more calling it “non-Western” because it isn’t used very often, which isn’t all that accurate. I liked this book enough, but it’s not high on my favourites list. I thought there was something missing from it. I’m not sure if I’ll read the sequel or not. Thanks for sharing your thoughts! I’m glad you liked it. Aw, I’m sorry you didn’t like it as well. That seems to happen to me pretty often too – it seems like EVERYONE likes a book and to me it’s only so-so. But if you didn’t like it there are so many other books out there to try that it might be better to go with them than to try a sequel you’re not really sure about, you know? 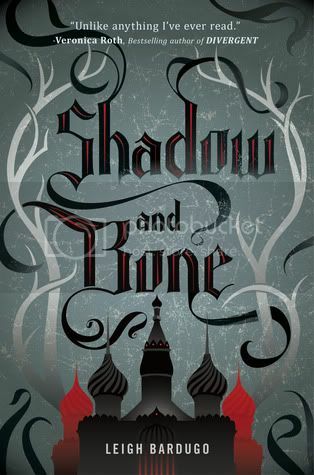 Nice to know that the Russian influence runs through this book, and it’s not just a hook/gimmick or a few sentences mentioned here and there that this book is inspired by Russian culture. I’m really getting into the high fantasy genre and OMG this one is high on my list. Have you seen all the rave reviews out there, including your own? It’s simply overwhelming! I actually try to stay away from reviews until I’ve read a book, because I don’t want to be influenced by someone else’s opinion before writing down my own lol. But I can certainly see why there would be so many rave reviews out there! I have always liked fantasy but I always kept away from high fantasy because most of the adult high fantasy was too boring to me. I have had a copy of this book for half a year and I still need to read it!!! I’m so glad you loved all of the elements of this book and I can’t wait to read it. Can’t wait to see what you think of this one – it’s one of those that I love it so much I want everyone else to read it too! Thanks for the recommendations for adult high fantasy. I have seen Mercedes Lackeys books before and thought about trying them but I didn’t want them to have too much epic fantasy in them and now that I know they don’t I’m adding her to my wish list because I just can’t sti around and read about the moss growing on trees lol.